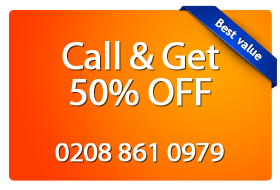 Looking for a truly professional carpet cleaning service in Tottenham? Don’t hesitate to call Magic Carpet Cleaning then. We offer you a wide range of steam cleaning solutions for your home rugs and carpets. Our team of professional carpet cleaners is at your service to deliver high-quality standard of cleaning. No matter the type or shape of your carpet, we clean them all. What’s more we are real experts in stain removal. You can be sure your carpet will be cleaned. Just give us a call on 020 8861 0979 and our crew can be at your address in no time to revive your worn-out carpet fibres! Residents of North Finchley, London are fashionable and trendy which are designed with hi–tech elements. Beautiful furnishing garments require experienced and quality cleaning of Magic London Carpet Cleaning in Tottenham (N15, N17). For past several years it has been improving its standards by changing technologies and cleaning chemical products. The technologies along with the cleaning products are technically very strong which takes challenge to remove any types of stains. Steam cleaning of carpets and rugs are efficient since it is one the effective vacuum cleaning method that does not wet carpet for long time and its turbo drying system quickly dries the carpet. The carpets are in this way are protected from germs and also original quality of the material remains same. Set up an appointment with one of our local carpet cleaning teams on 020 8861 0979. Our friendly customer care staff will answer all your questions regarding our services and provide you with a free price quote. Don’t hesitate to ask our representatives, they will provide all the information you need about terms and conditions, methods and products we use and even help with advice about the best course of treatment for your home carpet. Alternatively, we have set up a quick and easy to use online contact form where you can drop us a line. We will be in contact with you as soon as possible.